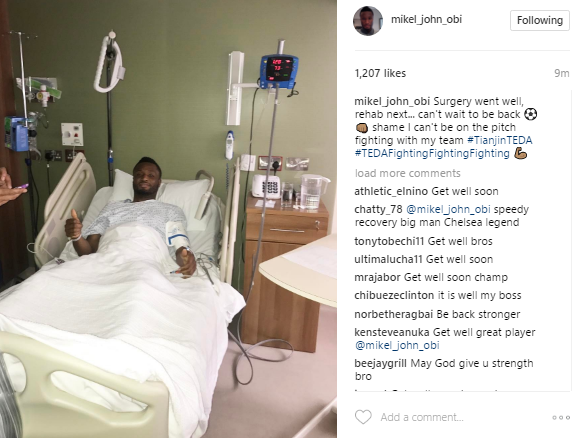 Nigerian Professional Footballer, Mikel Obi revealed today that he underwent a surgery which turned out successful. The 30-year-old took to his Instagram to announce that the surgery has been done and it was successful. Mikel who currently plays as a midfielder for Chinese club, Tianjin TEDA, did not state what it was for but will now head over to rehabilitation for proper recovery.